Do you want to be a family nurse practitioner? Do you want to work in a clinic, physician’s office, hospice, or your own private practice? Are you interested in a family focus looking after patients throughout their lifespan? If the answer is yes, you could benefit from nurse practitioner programs in Pennsylvania. While you’re searching for online family nurse practitioner programs in Pennsylvania, take a look at Walsh University’s online MSN-FNP program. Registered nurses will be able to choose their specialty, and pursue an FNP online in Pennsylvania. The program is 100% online with on-campus intensives. Gain a nursing specialty credential from a university located in a great nursing job market. Pennsylvania family nurse practitioners earn an estimated $107,480 per year. 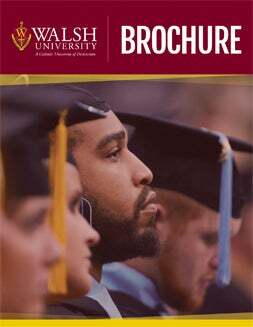 Enter a profession that is in demand from a well-respected institution like Walsh University. The online MSN Family Nurse practitioner program is 61 credits. Divided between eight-week and 16-week courses, the program is 100% online excluding clinicals. The program may be completed in 6-7 semester full time or 10 semesters part-time. Three intakes per year means you can start your education when you’re ready. Learn more about our online Pennsylvania MSN programs. Official transcripts documenting a baccalaureate degree in Nursing from a program accredited by a national organization responsible for nursing accreditation such as Accreditation Commission for Education in Nursing (ACNE), Commission on Collegiate Nursing Education (CCNE) or their equivalent. Transcripts should document a minimum 3.0 cumulative grade point average on a 4.0 scale on all undergraduate coursework. Transcripts must be in English and credentials evaluated when appropriate. Two professional letters of recommendation supporting the applicant’s potential for success in the Master’s program from graduate-prepared nurses or faculty members who can address the applicant’s potential or ability for functioning in the FNP role (clinical skills, critical thinking, independent decision making and collaborative skills with other health professionals). Applicants currently enrolled in a nursing program must submit at least one (1) recommendation from a faculty member in that program.